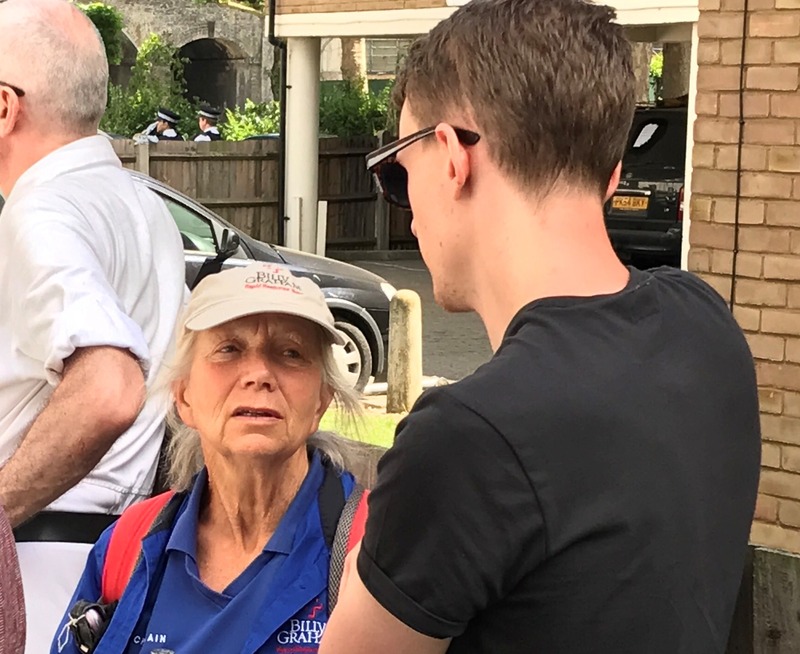 Today the Billy Graham Rapid Response Chaplains conclude their deployment at Grenfell Tower in West London, where at least 79 people died in the tragic blaze. It has been a challenging two weeks for the team. Never previously have the UK chaplains ministered to so many people who have been so closely bereaved. 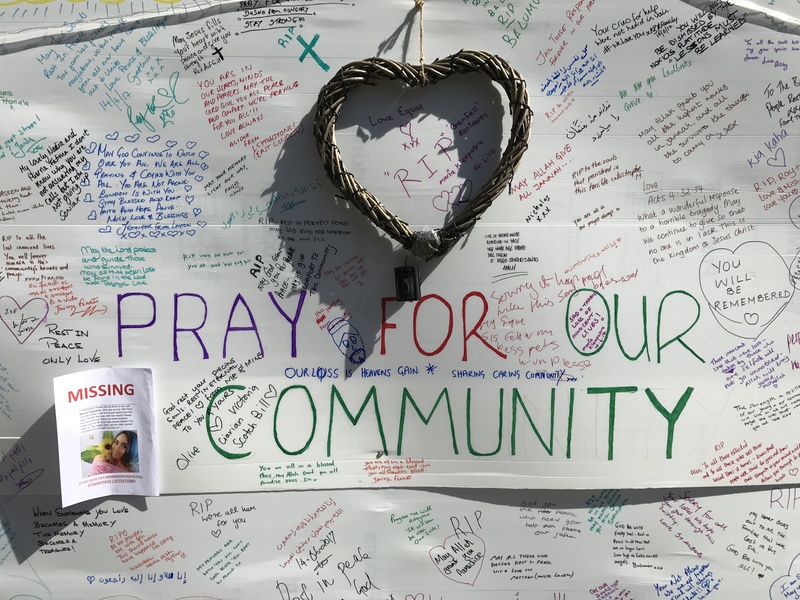 They have supported the local church as it comforted a community which has been not just grieving but often angry as well. Right at the start the chaplains helped the church to construct a prayer wall where the communal tragedy took on personal details – offered to a God who was known by some and unknown by others. In all the Rapid Response Team prayed individually with more than 300 people. As you read through the short stories below, would you pause a moment and allow this to become our prayer wall? We invite you to join us in calling on God’s comfort and healing for those who have lost so much. –	Brian was tearful, clearly in a state of shock. He had moved from Grenfell Tower after getting married, but his family was still there when the fire happened. 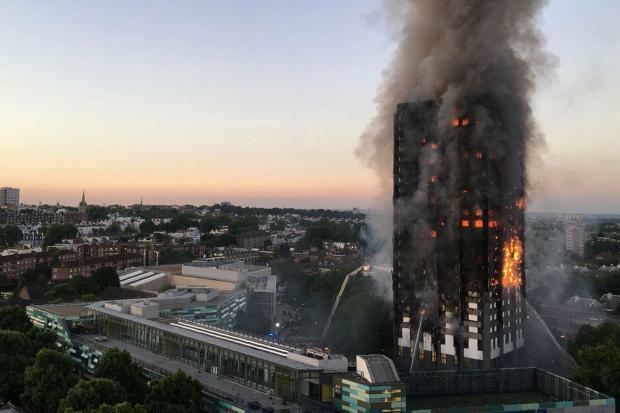 He received a telephone call in the early hours and rushed to the block with his wife, arriving at 1.25 am whilst people were still running from the building. 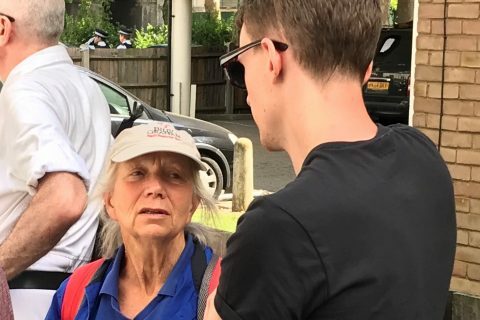 His mother and sister had escaped from their eleventh-floor flat, but his father, whom they had last seen on the tenth floor, had not as yet been found. The young man tried to enter the block to find his father, but was stopped by a policeman who said it would be suicide. The chaplains offered to pray for him, and he gratefully accepted. –	A family with two teenage children had gathered together and were in tears. They had been living on the thirteenth floor and had all survived. On their way down the stairs they had been knocking on flat doors to wake people up. Their actions must have helped to save many lives. They were feeling guilty that they had not been able to save more, and were happy to receive prayer from a chaplain. –	A chaplain came across Robert, who had jumped from the building with a child in his arms. He survived, but the child died, and he was riddled with guilt. He accepted a prayer. When the chaplain caught up with him the following day he was still in shock, and also grieving the loss of a sister. –	18-year-old Anita had parents who attended church, but didn’t know about a personal relationship with Christ. She told a chaplain that a fellow student had died in the fire. She hadn’t cried, but was now able to express emotion for first time. The chaplain asked where she turned when she was upset. She looked confused, and the chaplain explained how she said could go to God. Anita wanted to hear more, so the chaplain went through Steps to Peace with God and asked her if she wanted to pray the prayer. She said ‘Yes’. When life is at its worst, people ask the deepest questions and are the most open to the God whose loving presence in the end provides the deepest answer. Thank you for standing in prayer with our chaplains as they have witnessed to our incomparable God at the Grenfell Tower.